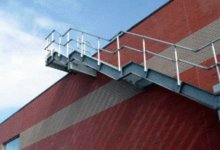 Roof fall protection systems and equipment that work to protect your employees while working on the roof. 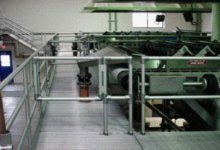 Equipment to keep workers separated from machinery hazards. 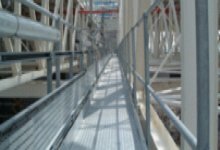 Offset guardrail and lifeline systems that can be used to protect workers who are using a catwalk. 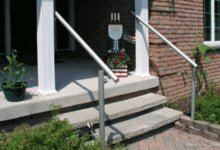 Railing solutions for ramps, stairs and other pedestrian walkways. 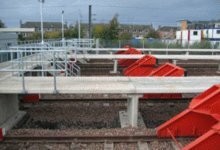 Fall protection and safety equipment to protect people maintaining, repairing and cleaning railroad cars. 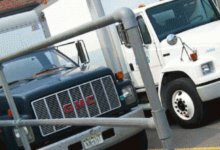 Fall protection and safety equipment to protect people maintaining, repairing and cleaning trucks. 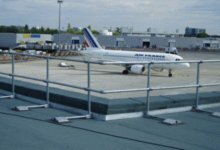 Fall protection and safety equipment to protect people maintaining, repairing and cleaning airplanes. 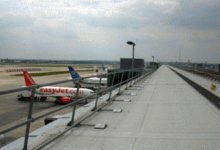 Products that provide a safe working environment while working in and around airports. 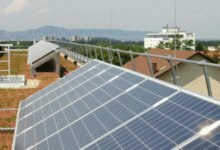 Protect workers who are installing and maintaining solar panels and equipment on roofs and elevated surfaces. 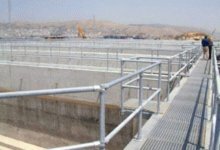 Provide perimeter protection around water treatment facilities at a fraction of the cost of installing welded rail. OSHA requires manufactures to properly protect their workers. 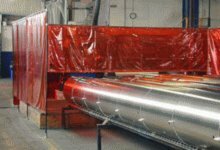 Check out the various safety products that relate to the manufacturing industry. 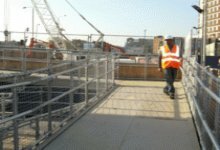 Safety is an important concern in the construction industry. Find products to help you protect your workers and comply with OSHA Standards. Safety products that are good for use in home and residential settings.